This week we’re going underwater, into space, and over to Mars with PlayStation VR. It’s been a solid seven days for Sony’s headset with a handful of interesting new experiences that cross a range of genres. 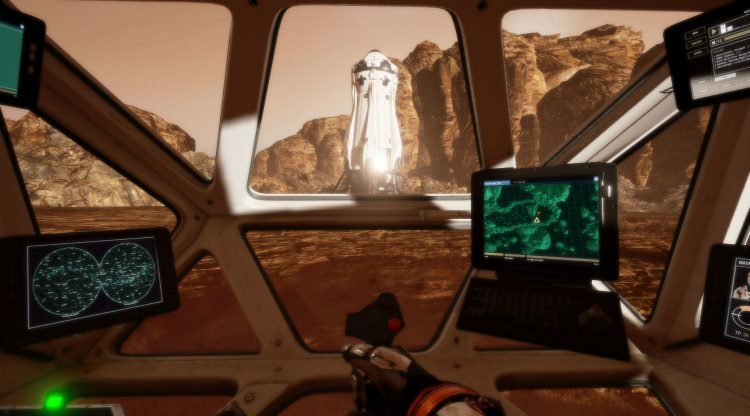 When a meteor shower renders earth an inhabitable wasteland, humanity takes to the stars to relocate to a popular VR destination, Mars. You play as a pilot working for a mega corporation that is erroneously labelled as a traitor, and joins a band of rebels to survive. What follows is a series of space battles from the seat of your craft. This is the first in an episodic series, so expect more soon. Recommendation: This offers some single player excitement if the multiplayer of EVE: Valkyrie is getting old. The developers of Papo & Yo return with their first VR game, and it’s entirely different from what’s come before. In Time Machine VR, you travel back to the Jurassic era to search for aquatic dinosaurs, studying them so that you might gain knowledge that could save the future of the human race. Sci-fi plot aside, this is a borderline educational experience designed to bring you up close to wildlife you never knew existed. Recommendation: Time Machine has been on Rift and Vive for a while and is pretty popular. We say grab it. A promotional tie-in to last year’s Ridley Scott sci-fi epic. The Martian casts you as Mark Watney, and takes you through several scenes of the movie. You hop from first-person experience to watching clips from the film, occasionally getting to interact with the environment by throwing potatoes into buckets or driving a rover. It lasts about 20 minutes all-in-all, and much of that is simply watching. Recommendation: Avoid. This should be a free experience, not $20. Our review.